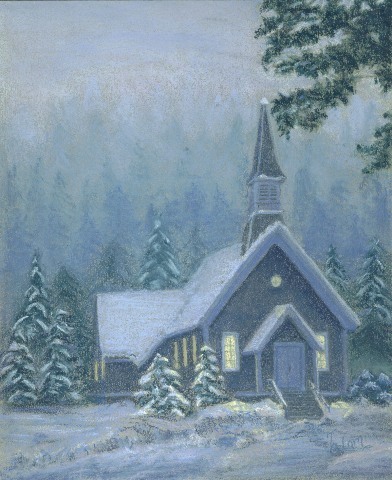 This lovely little steepled church is nestled into the snow covered trees. The light shining from the windows invites one to come in & have fellowship & worship. *Some differences between the scanned image & the original are difficult to avoid. To order an original Tammy Odom painting, or to inquire regarding a print, e-mail us at: teo7@odom47.com.